The last of the Fan Collection. Phew! That's love :) With each swatch. I did not want to take it off to get to the next one. So...Aqua Lilly stays! YAY. And, yes, I planned it that way. Hehee. This was by far my most anticipated of the collection. The combination of aqua and pink shimmer is just a WIN in my book. The collection goes on sale to the general public this Monday, April 23 at noon! 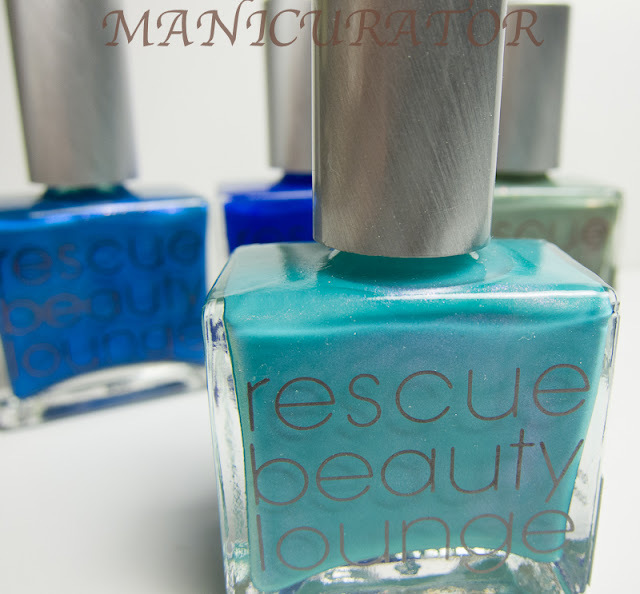 Follow this link to the Rescue Beauty Lounge site to purchase. Be prepared if you want these brand new shades, they are $20 each. Expensive and worth it. Application? Flawless. This one has some of that famous subtle shimmer, only it's not so subtle. Not in your face either. Just classy. A great happy polish. Love. I'm sad to report that much of that gorgeous shimmer I couldn't pick up with my camera. Hopefully I'll get swatches in the sunlight ( it's pouring out today) and update with those. Trust me the pink shimmer is there and it's just beautiful! What do you think? Will you be buying any? If you could only get one, which would it be? Hope these posts helped you figure out what you want. 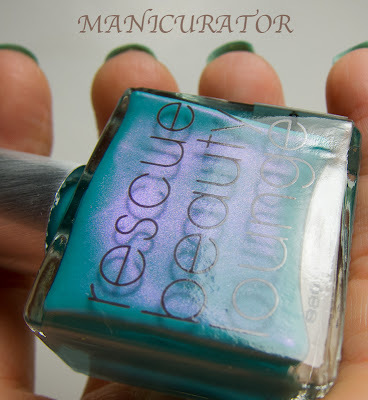 I took a look at your previous swatches and I like this one the best. I can see the lovely shimmer in the pics of the bottle. Love this one on you!!!! Wow! 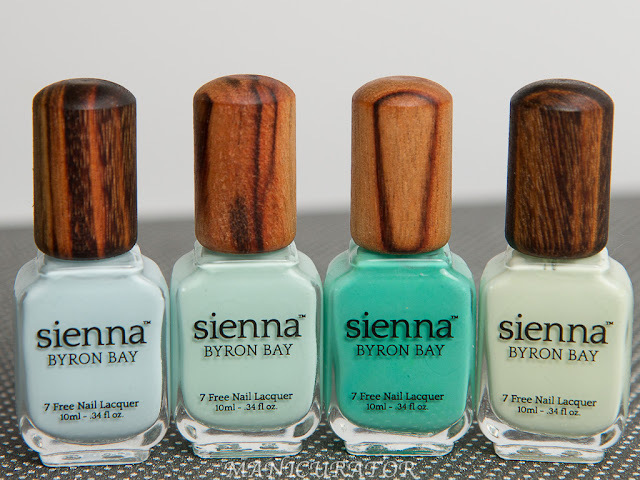 Your swatches of Aqua Lily are fabulous! 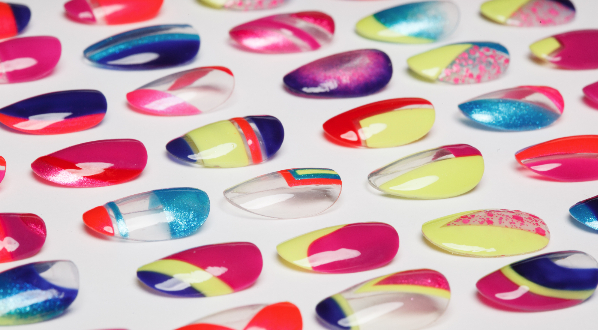 And I love your nails, too :) Yes, I'm biased, but you definitely "saved the best for last" ;) Enjoy!! April Showers Bring May Flowers - Rainbow! April Showers Bring May Flowers - April Showers!